Passenger, caught 23/9/2006 (National moth night). Most of the Moth lists and Photographs are from my garden (TR359450) in the village of St Margaret's at Cliffe in Kent. It is situated about 1Km from the sea and has farmland with in 100 metres. The garden is well shrubbed and about 1600 sq metres. I normally run a 125 MV lamp and a 15W actinic light over-night and once the season gets going a couple of other traps. At the moment both are 25W black Lamps. previously I used a 160W blended lamp in one of them. All traps are home made. Trapping dates refer to the date the trap was put out. Trap Update in 2017. A new 125W MV Robinson was added to a 125W MV Skinner, 15W Actinic Skinner, two 80W MV Morris modified Skinners and a 80W MVMorris Box trap. I try and identify all the Macro Moths, with the micros I am not at all systematic, I do more than I used to with the help of the new book, but there are some that do get through. The temperature overnight remained above 12 deg C, but there were no fireworks in the trap. In total 15 moths of nine species, including another four Oak Rustics. I wonder how many there would have been last week had I been here and not on St Mary's? 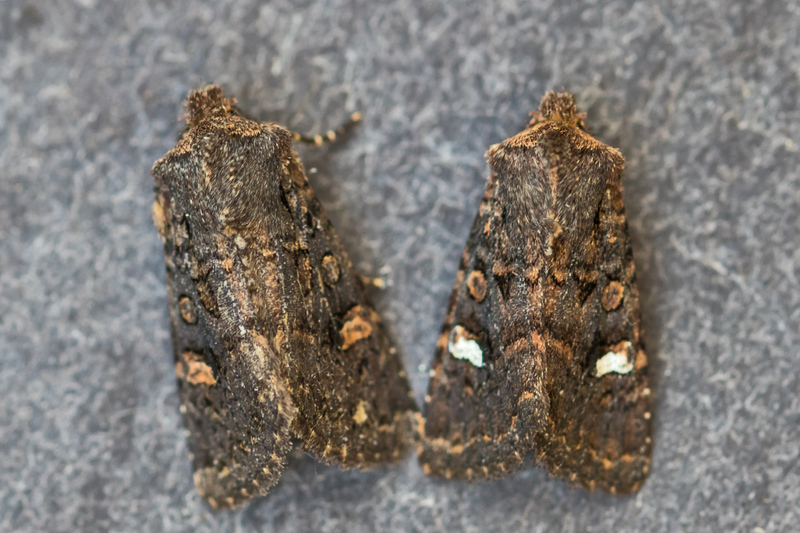 The two morphs of Oak Rustic. I'm not very tolerant of things I dislike. I'd vote for hanging if Jeremy Clarkson could be the only victim. 0425z Yponomeuta malinellus/cagnagella Yponomeuta malinellus/cagnagella sp. 2337x Marbled Minor agg. Oligia strigilis agg. 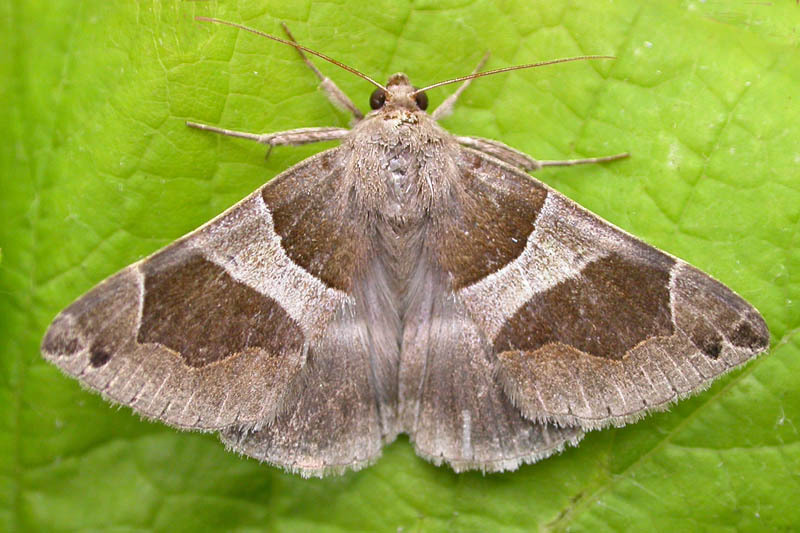 2360x Ear Moth agg. Amphipoea oculea agg.